Bretton Woods is proud to offer a variety of award-winning programs that will help give your kids the opportunity to take to the slopes and the learn the fun sport of skiing and riding. Reservations are required for all children's programs, please contact the Bretton Woods Ski & Snowboard School at (603) 278-3303 to make your reservations and for the most up to date information on on-going children's programs and availability. Hobbits Children Ski School and Babes in the Woods Nursery are closed for the 2018-19 ski season. 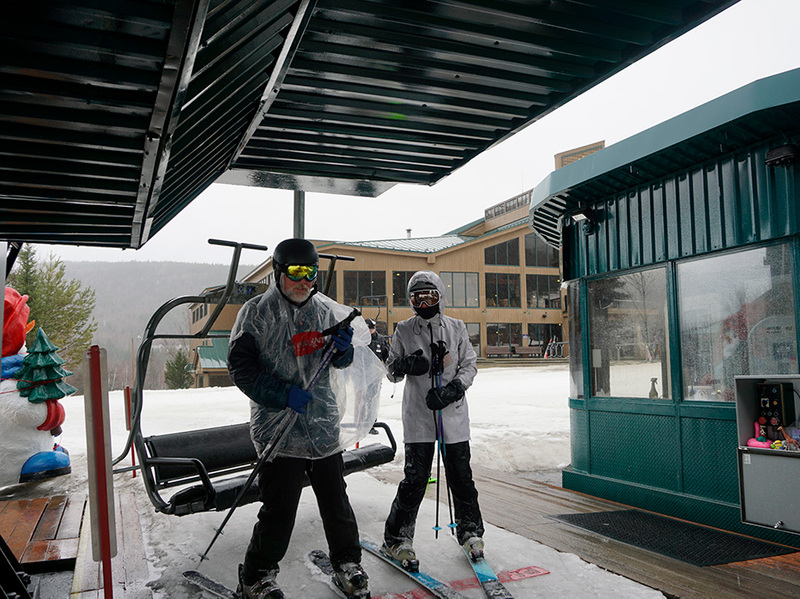 If you wish to book a children's ski lesson we have options available, please call the Bretton Woods Ski School desk at 603-278-3303 for more information. The Babes in the Woods Nursery serves kids ages 2 months to 5 years. Enjoy a worry-free day on the slopes while our caring staff entertains your child indoors with games, storytelling and crafts. Reservations are required. The Ski & Snowplay Progam, for kids 3-5, is a great way to show your kids how much fun the snow can be! The full-day program includes nursery supervision, a one-hour group lesson and lunch. Children must be properly attired and potty-trained to participate. Reservations are required; please contact the Bretton Woods Ski & Snowboard School at (603) 278-3303. or register on-line. To make the reservation process easier, please have the following information about your child or children available when you call. Depending on age we will require height, weight, shoe size and date of birth. Registration is located in the Babes In The Woods Nursery in the Kids' Alpine Club building. Reservations will be charged 48hrs prior to arrival date. **Holidays and vacations weeks may be charged up to 7 days prior. ** Cancellations or changes made less than 48 hours prior to arrival will receive a full refund less a $35 processing fee. Cancellations or changes made less than 24 hours will forfeit the full cost of reserved activity, including those due to inclement weather or snow conditions.